Install i3Display Light apk at your panel or SmartPhone. Click “Register” to register new user. Fill in your detail in Form Below. Click Request TAC for confirmation phone number. TAC number will be SMS to you. Click “Submit” to confirm the registration. 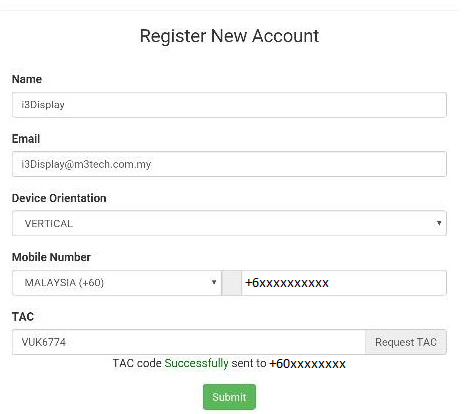 Open Email that you register the account and receive Username and password. 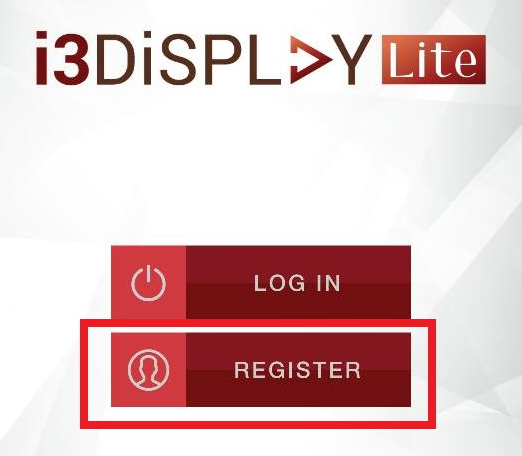 Click “LOGIN” in i3Display Lite apps. Click “ADMIN” to enter configuration page.